Corpses of inmates discovered by Soviet troops at the Klooga forced-labor camp. 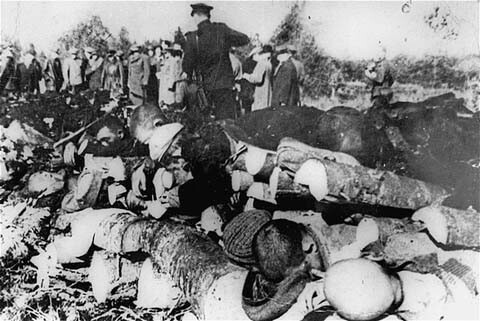 Nazi guards and Estonian collaborators had executed the prisoners and then stacked the bodies for burning. Estonia, September 1944.